Hello! 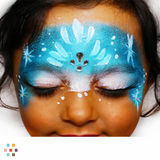 I a Face and Body Painter in Dallas. I work all Kids events, Birthdays, Bat Mitzvahs, Weddings and Private celebrations for Offices.Hello! I a Face and Body Painter in Dallas. I work all Kids events, Birthdays, Bat Mitzvahs, Weddings and Private celebrations for Offices.Hello! I a Face and Body Painter in Dallas. I work all Kids events, Birthdays, Bat Mitzvahs, Weddings and Private celebrations for Offices.